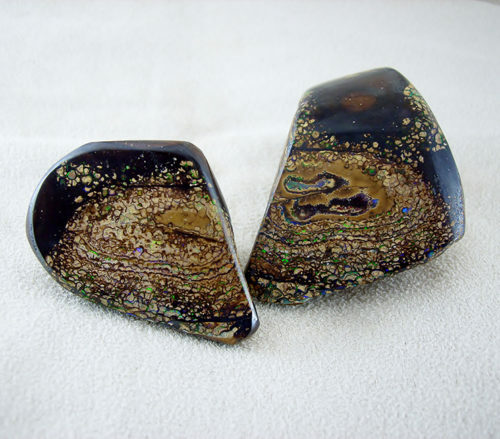 A boulder opal matrix natural split pair with a gorgeous pattern sparkling with bright lime green and orange from within the ironstone. The smaller piece measures 45 x 30mm, the larger piece measuring 45mm across at the base, 50mm deep. 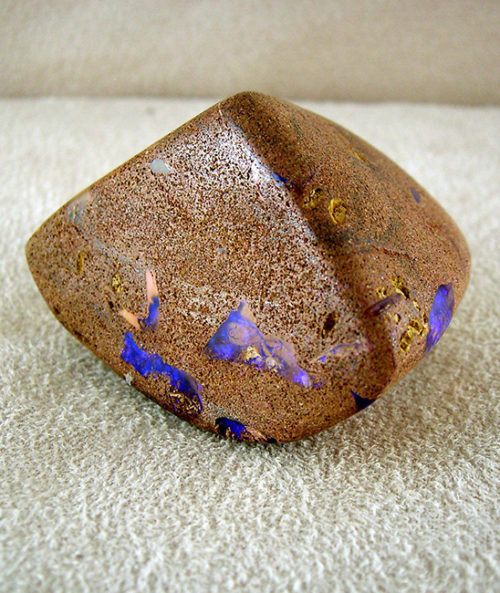 Boulder Opal polished specimen. Hard sandstone that is naturally impregnated with bright purple and turquoise opal, the specimen piece stands 40 mm high and is 60mm at the widest point. 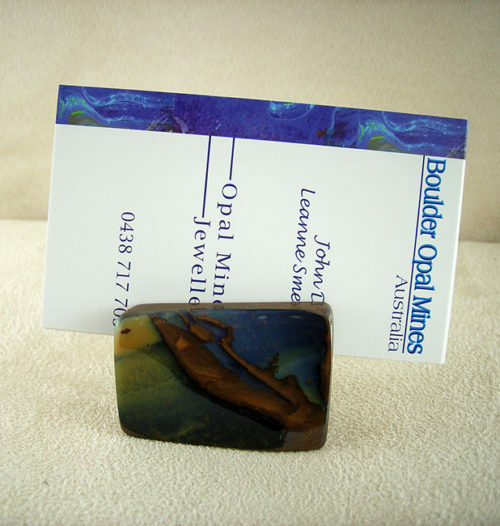 Boulder opal business card holder polished in a natural free-form shape stands 30cm high.